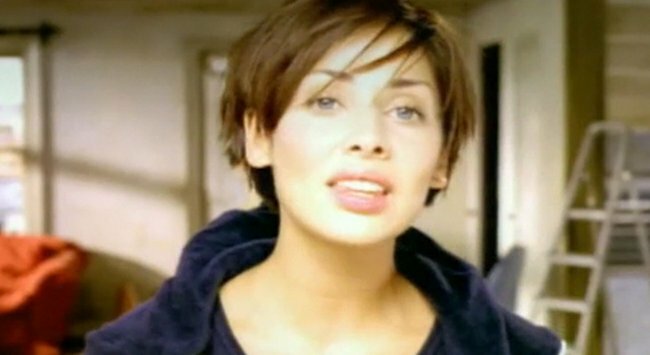 Natalie Imbruglia is back with a skincare line. Newness Alert: Natalie Imbruglia is back with a skincare line. Welcome to Newness Alert, our fortnightly wrap of the latest beauty products worth knowing about. On shelf: Now. Available at Priceline, click to buy here. Natalie Imbruglia, singer of 1997’s epic balled Torn and possessor of excellent skin, has developed an anti-ageing skincare line that you need to know about. We’re loving, well, everything - but in particular the Pure Rosehip Oil. This baby is a delicate and super natural oil that absorbs quickly into the skin and won’t make your skin feel greasy. Since it contains natural retinoic acid, which is a derivative of vitamin A, it can be used in the treatment of burned skin, stretch marks, scar tissue and photo-aged skin. (Read: or anyone with fine lines and wrinkles). It’s also free from animal testing, parabens, sulphates and other nasties. Nice one Nat. On shelf: In selected Myer and David Jones stores nationally. Trust Gwen Stefani to develop a 24-carat top coat. TRUST. The coolest mama out there has collaborated with OPI to create the nail polish we all want for Christmas. Well played Gwen. On shelf: available at Sephora in Sydney or online here. IT Cosmetics Bye Bye Undereye concealer is not technically a new product, but it is new to the Australian market thanks to Sephora. This full coverage waterproof concealer has hydro-collagen, Vitamin C & K, but best of all won&apos;t sink into those pesky fine lines and wrinkles around the eyes. Personally, I cannot get enough of this stuff. Is there a new product around that you can&apos;t get enough of lately?